Your donation helps this ministry continue its goals! Welcome to the Adventist Defense League. 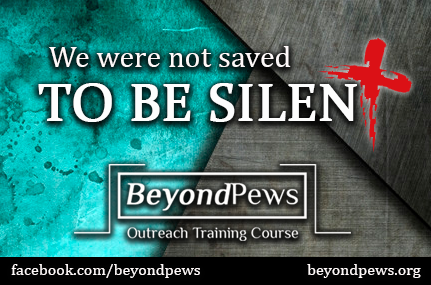 There have been an increase of attacks on Adventism over the past few years. Yet there has also been a simultaneous increase of websites defending the truth and setting the record straight. This website is one of them. 1. 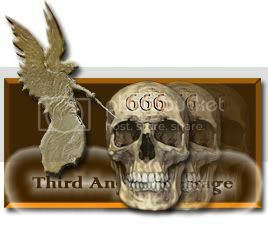 Did Satan Deceive Adam? 2. Was Israel destroyed by Gluttony? 3. Can we be certain of our salvation? 4. A sin to be sick? 5. Christians to make trespass offerings? 6. Who spoke to Cain? 7. Is Jesus the Almighty God? 8. Does God hate wicked children? Please Note: Dirk Anderson has two versions of the above list. His second version includes another suppossed contradiction called "Is Slavery a Sin?" Click Here for a Response. Here is a list compiled by an opponent of the Adventist faith which claims to be questions that Sabbath keepers are afraid to answer. Of course, we took them, and answered them one by one. 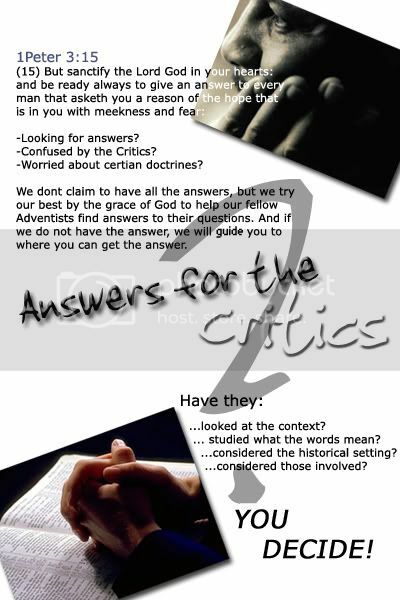 Click on the link above to see their 80 questions, and to see the bible responses we provided. Unfortunately for them, Sabbath keepers are not afraid to answer them, and their are answers. By the way, they responded to an email we sent them about how we answered each question. No they didn't send us a rebuttel. They said something else. Find out here! -Point by Point Response to TD Jake's R.S.V.P. We added TD Jakes to our list or critics because in his sermon he called us out by name. We took the time in listening to his sermon. We heard it dozens of times, and slowed it down to grasp every relevant point he was making against the Sabbath. Then, we put together this article responding to every point. We even made a short video clip to advertise our response, hoping to get his followers attention. Take a look at this response by clicking on the link above. Let us know what you think. The video we made about this article is called "A Response to T.D. Jake's R.S.V.P. Want to see it? Click here. It's also available at the bottom of the article. 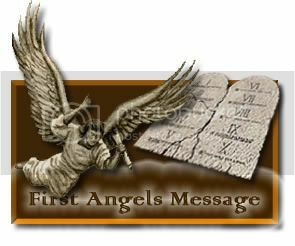 One of our friends from an internet chat room which we've known for some years, read our response to TD Jake's R.S.V.P Sabbath sermon, and took it upon himself to send us a written response to our own points. We read and considered every response he made, and provided a rebuttal hoping he can see that there are responses to his arguments. We got a great reply. He told he us likes what he read, and although he still has many questions, and is not fully decided, is considering his current position against adventist teachings. Take a look at the link provided above. The original responses to TD Jakes are in bold/italic. His responses are in normal type, and our rebuttals are in blue. You know how Adventists have always offered a reward to any evangelical who could cough up a bible verse where it specifically says that Christians should keep the first day of the week holy as a Sabbath? Well, former adventist Pastor J. Mark Martin seems to have taken up this challenge. Although he is not claiming any rewards, he is trying to provide such a verse. But, there's something wrong with the verses he used. Can you guess what that is? Find out by clicking on the link above! 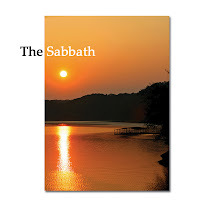 You'll learn that the true Sabbath was never replaced or abolished. There is another page we have where we examine another charge by Pastor J. Mark Martin. He tells us that we Sabbath keepers should stone our members if they break the Sabbath! Really? Find out what we discovered by clicking here. Here we examine 59 questions which are meant to show that Ellen White contradicted the bible those 59 times. These questions are simular to those compiled by critics Sydney Cleveland and Robert K. Sanders (click here). 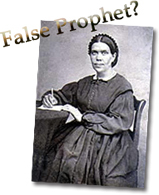 The biggest difference, however, is how Elder Olson's primery attack is on our Health Message and what Ellen White had to say about it. Click on the above link to see his questions, along with our response, and let us know what you think! Dr. Desmond Ford is most famous for his attacks on our 1844 Investigative Judgment. Following in his foot steps, critics like Dale Ratzlaff have also taken up some of his arguments and have promoted them on their websites and books. 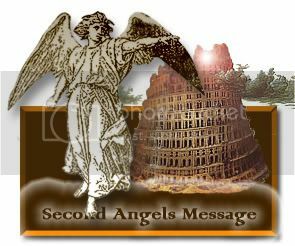 In this article, we examine a critique which Desmond Ford did on the 2006 Sabbath School Lesson, which dealt primarily with the Investigative Judgment. All of the articles appearing at this website are ours. None of them have been either reviewed or approved by the General Conference of the Seventh-day Adventist church and thus all articles should be considered the research and opinions of the authors alone... READ MORE. Contact us via email at: adl.qanda@gmail.com. Emails with attachments will not be opened. Please, do not reproduce in any form any of the materials on this website without permission and proper credit. To do so is not nice. Contrary to popular opinion, "thou shalt not steal" has not been abolished! © 2018. Sign our Guestbook!